﻿ Gary Ewan Park - LEGO Mindstorms 8547 has arrived!! LEGO Mindstorms 8547 has arrived!! 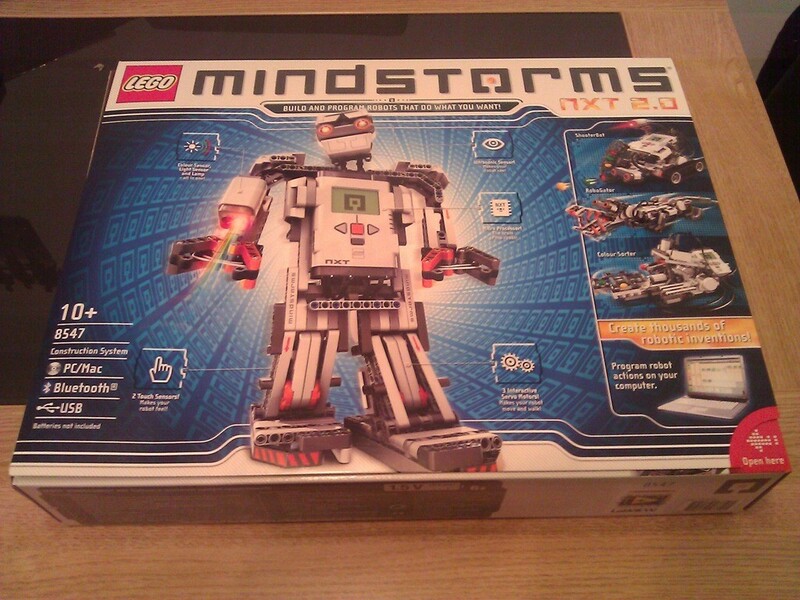 I am happy to say that I am now the proud owner of a LEGO Mindstorms NXT 2.0 8547 set. I blogged about this set last month, when I was suggesting that it would make an ideal Christmas present for a geek, however, after getting some Amazon vouchers for my birthday, I decided to go ahead and order it. I haven’t had much of a chance to play with it tonight, had a few other things on the go, but I will definitely be playing with this over the Christmas break, and I am really looking forward to it! With the help of a book that I also got for my birthday (thanks Andy! ), one of the first things that I will be building is a Rubik Cube Solver. I have seen lots of videos of this on YouTube, and I honestly think that it is amazing what you can do. This particular example is not the quickest or smoothest solver of Rubik Cubes, however, it is built with the LEGO pieces that comes with the set that I have, so for that reason, it is as good a place to start as any! If you are interested in the unboxing and contents of the 8547 set, you can take a look at the photos below.